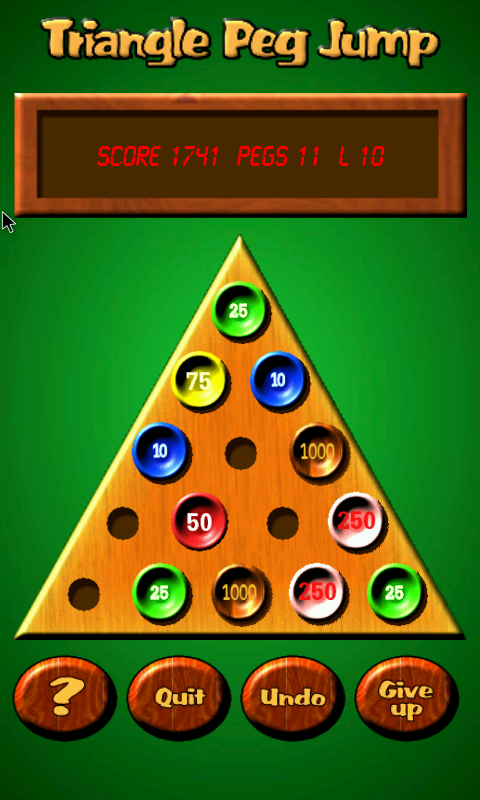 Try your hand at an old fashioned Triangle Peg Jump game brought to you in a new and fun way. Watch out, it can get rather addicting. 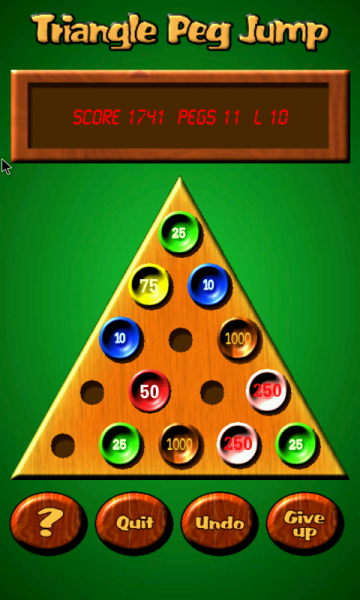 Triangle Peg Jump is a new twist on an old game you may have played at a popular country themed restaurant. 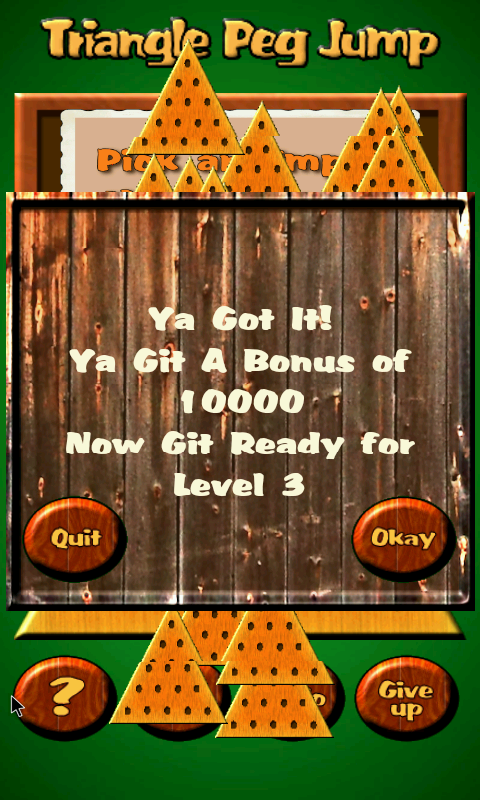 If you are able to master the first 7 levels, the 8th level and above will surely give you a challenge, but in a relaxing, easy going way. How to play. 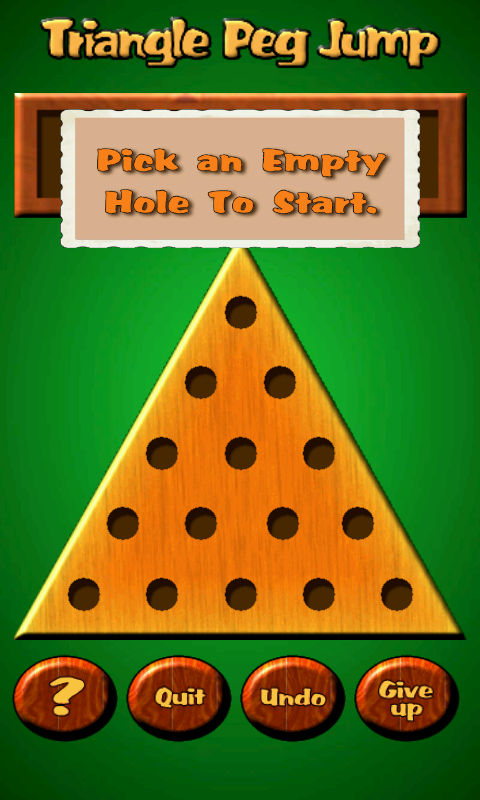 The objective of the game is to jump a peg over an adjacent peg into an empty hole, like leap frog. You do this one peg at a time. Anytime you jump a peg, the peg you jumped over is removed. 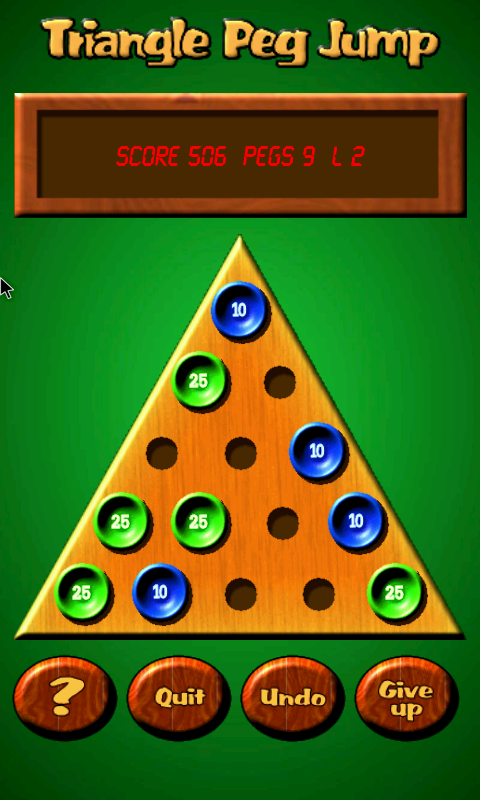 You continue jumping over pegs until all there is left on the board is one peg. Sounds easy doesn’t it. Sure it is. You’ll never know until you try it. 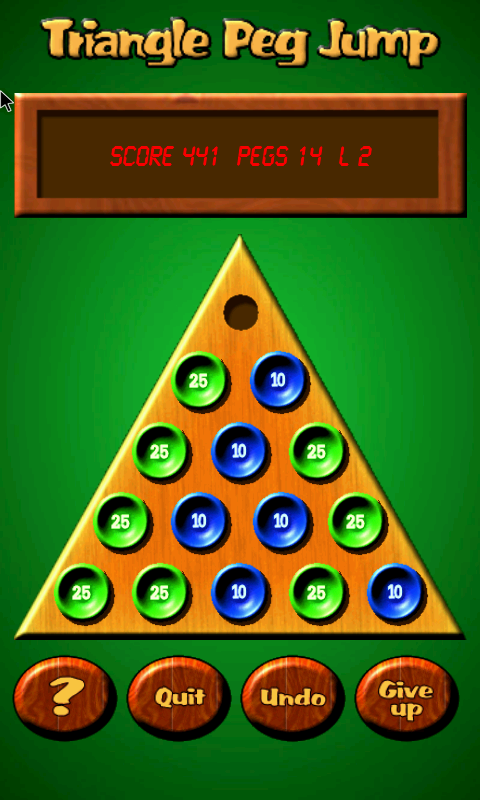 Since this is an “electronic” version of the game, it features multiple levels, multiple peg values for scoring and bonuses are awarded at the end of each level. You also have an “undo” move feature that lets you backup (but you don’t get to keep the score for any move you backup from). Finally, if you are stuck, you can “give up” and start the level over. 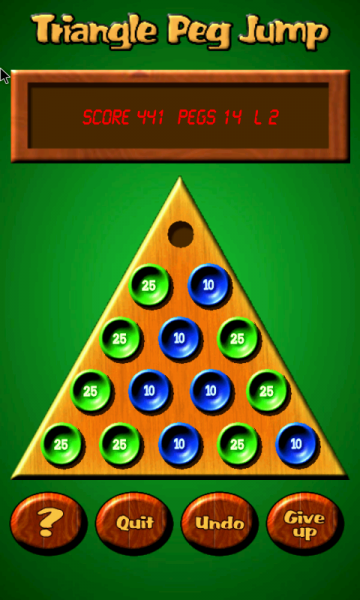 Select a peg by tapping it. It will pulsate when selected. Tap the hole where you want it to be dropped. The peg you moved will now occupy the hole you selected and the peg you jumped over will be removed, advancing your score. Keep doing this until you are down to one peg. If you want to “go back”, tap “Undo” as many times as you want. If you can’t make any more moves, tap “give up” and it will start over. It’s really simple to play and there are no timers or a limited amount of moves to rush you along. Just relax and give “Triangle Peg Jump” a whirl. This free version is ad supported with just a small banner ad.